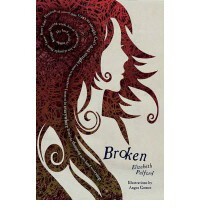 The first word that comes to mind when I think of Broken by Elizabeth Pulford: Weird. Gosh dang, this was a weird book. But here's the thing: Weird in no way means bad. The truth is that this book is intensely powerful, incredibly emotional, extremely creative, and strangely poetic. Elizabeth Pulford takes a tragic situation, a teen girl in a coma after a terrible accident, and turns it into a gripping and entirely original plot. I can honestly say that I've never read anything even remotely similar to Broken. In the book Zara is in a coma, all the while having extremely vivid dreams while simultaneously being aware of what is going on in the world around her. She can hear it when her parents are talking to her; in her mind, she talks back to them, carrying on the conversation. It seems like a completely horrifying situation to be in. Usually, I don't like to read this type of book. I don't enjoy books that make me sad. 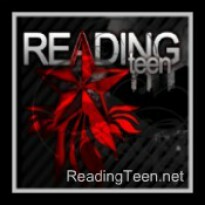 But this plot has much, much more to it than just a girl in a coma; in Zara's dream-state, she is in a comic book world. This is where it gets weird. She meets heroes and villains from this popular comic series, all the while searching for her brother, Jem. This is a powerful book, make no mistake about it. Not only is Zara searching for her brother, but she is also sorting out her inner demons. So while going through this fantasy of a comic book, get ready to be punched in the feelings. I enjoyed this book. It was written very well. The pacing, while taking some getting used to, is absolutely superb. If you are prepared to go through a roller coaster of emotions while reading a book that will often having asking yourself, "Wait... What?" then this is definitely a book for you.